Product description: We have team of highly skilled craftsmen, we are able to manufacture, export and supply our range of Trendy Groom Sherwani. We offer this sherwani in diverse colors combination and designs as per the speckled choices of our patrons. Also we test this sherwani on diverse parameters to supply defect free range from our end. 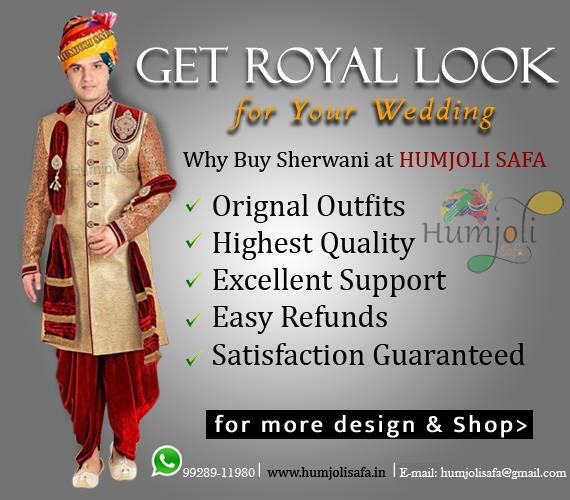 This sherwani can be purchase from us at reasonable rates. Features: •	Shrink proof •	Unmatched quality •	Recommends Dry Wash Only.